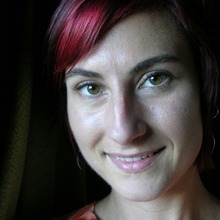 Crystal Schenk is awarded a 2013 Artist-in-Residency at Caldera Art Center. 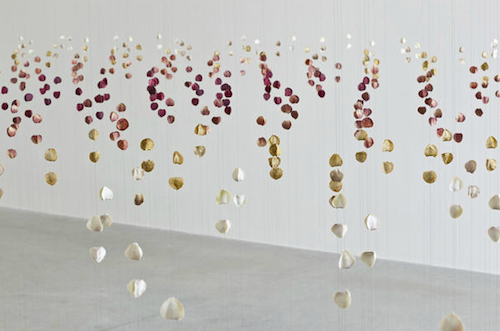 Schenk is a sculpture and installation artist who “sometimes dabbles in video, drawing and knitting when the mood strikes.” Her works range widely over the material spectrum: wood, stained glass, plaster, crystals, and fiber. 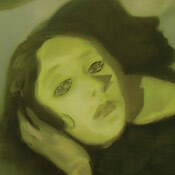 Schenk’s longtime collaborator, Shelby Davis, is also a recipient of a 2013 Caldera Artist in Residency. Past Caldera Artists in Residence include Fritz Liedtke ’02, Linda K. Johnson, Rose Bond, MK Guth, Daniel Duford, Mack McFarland, and Lennie Pitkin. 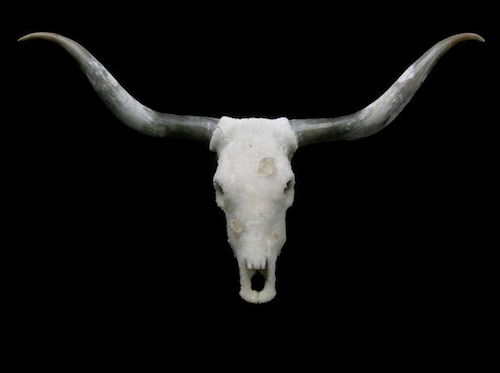 “Holy Cow!” by Crystal Shenk (2010), Longhorn steer skull and horns, crystals. Photo courtesy of artist. 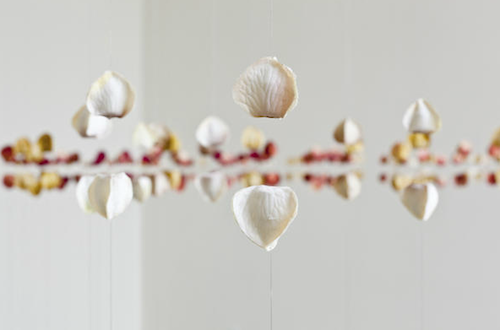 “Artifacts of Memory” by Crystal Schenk, 2012. Installation at Linfield Gallery. Photo courtesy of artist. 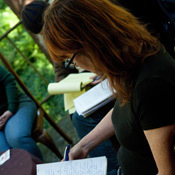 As a Caldera Artist in Residence, Schenk will be given a private cottage and studio or workspace at Caldera’s Art Center at Blue Lake near Sisters during the month of January 2013. She will also be sharing her work and perspectives as an artist to Oregon youth through workshops and presentations. 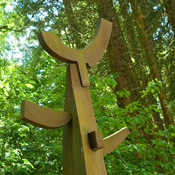 You can view more of Schenk’s work on her portfolio and at Caldera’s Open Studio on January 26, 2013. 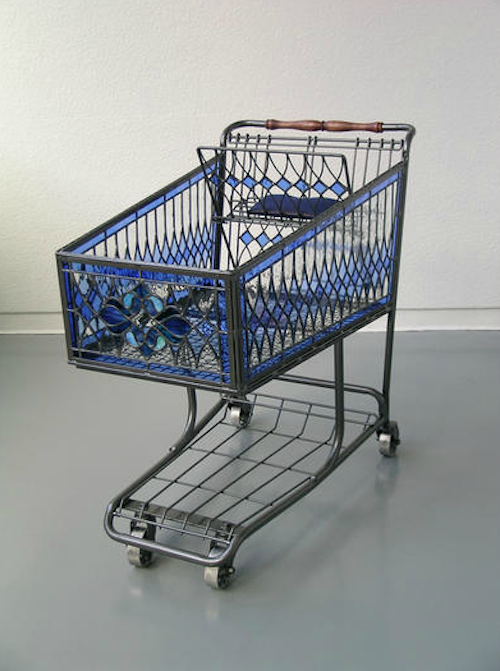 “Have and Have Not” by Crystal Shenk (2006), steel, stained glass, wood, fabric. Photo courtesy of artist. 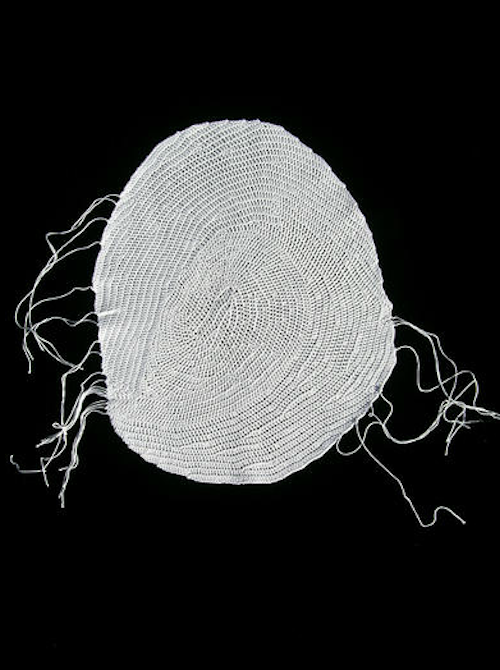 “Right Thumb” by Crystal Schenk (2008), crocheted cotton thread. Photo courtesy of artist.